THIS is Gary Coopers second book on the RMS Titanic's Captain. His first book The Man Who Sank the Titanic? 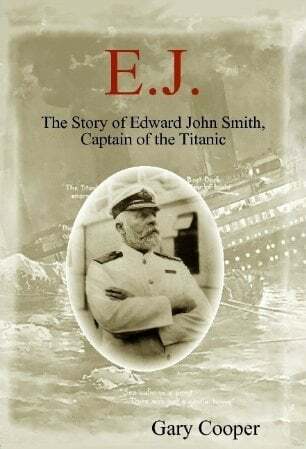 The Life and Times of Captain Edward J. Smith, was a very good read and is now complimented by this excellent follow up. ''But what kind of future typically awaited a child of the Victorian Potteries? Unfortunately it wasn't good and for a baby born here in the mid-nineteenth century life could often be hard and very short. In as late as 1900, one in four children died in infancy and the local burial registers make for pitiful reading with infants being carried away by a host of diseases such as cholera, diphtheria, typhus, pneumonia and other pulmonary disorders, all caused by either unsanitary conditions or the effect of the sulphurous atmosphere. The education he received (from the Etruria British School) was very good, and thorough but nothing exceptional, however the man must have had something to make him the man that he became. Starting on page 205 there are over 30 pages of photographs which give a very good picture of Captain Smith and his life. There are two Appendix's, on page 401 (note the number!) in the second Appendix there is a list of all of Captain Smiths White Star Line voyages from 1880-1912 - thereby giving the answers to many of the oft asked questions about his journeys. There is an excellent Bibliography on page 417 that lists all the major sources of information. I thoroughly enjoyed reading this book and I would strongly recommend it to anyone interested in the Titanic and her people. Price £8.45. (422 Pages) Paperback. (Note: This book has been published on a print-on-demand basis and will not normally be sold through shops or other retailers. Copies of this book can, however, be purchased online.